I'm just wondering why you've changed the title of this new "song of ice and fire" series? As far as I was aware, It was due to be named "winds of winter"
I was just wondering if that is still written seperately, and on what dates they will be due to be released in the U.K? Thankyou for reading this message and I am a great fan of your series Mr Martin. They are very well written and exciting! Thankyou again as you have brought so much joy to my life whilst reading your books sir! Two completely different books. WORLD OF ICE & FIRE is not a novel. Hi George, I am super excited to read this but I am not sure whether to purchase the U.S. edition so that I can get it sooner. Will the UK release date be the same day as the U.S. or not? I find the history of Westeros fascinating so I'm very excited to read this one. Can't wait to check it out! Swan Point (where Lovecraft is buried) has coyotes, and they become active around the evening, so make sure to not be there when it starts to get dark. You may also want to contact someone in the Lovecraft Historical Society to guide you, Lovecraft's grave doesn't stand out, and the place is rather big. Also, be sure to look out for the grave of the civil war veteran that is adorned with the cannonball that killed him. It looks amazing! Do you know something about this book adaptation for mobile devices? Random House LLC has very good application "George R.R. 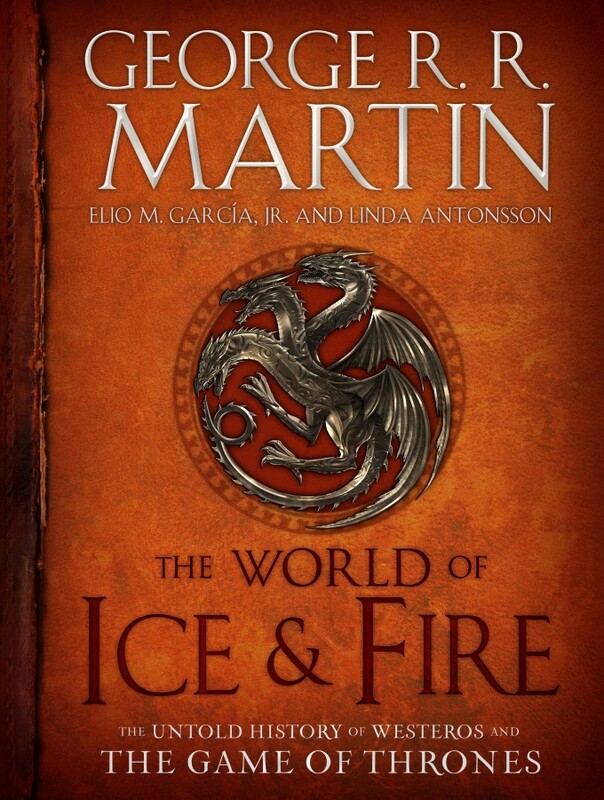 Martin's A World of Ice and Fire". Will your new book be integrated into this application or it will have it's own application? I'm from Providence. It's a cute little place, I'm sure you'll love it. The Brown campus is beautiful, and if you have time, you should head to Federal Hill and get some delicious Italian cuisine. (I recommend Mediterraneo). I will sign the books ahead of time, and they will be distributed to the attendees at the door. Or so I am told. I'm not quite a reader, but this should be exciting to get hands on. Just wondering, will it spoil anything for me since I haven't read the books? Most of the material contained within is history, set centuries before the events depicted in the novels, so spoilage should be minimal... but there are very passages that will give things away, yes. I am really looking forward to a world of Ice and Fire. I a long time fan I started reading the series when Clash of Kings was in hardcover and just finished my 4th re-read of the series. I just love anything to do with ASOIF. Thanks for the Bday gift!